This guitar is a masterfully crafted interpretation of the fabled Roy Smeck, a slope-shouldered Gibson acoustic from the 1930s, which pairs a 12-fret neck with a standard, slope shouldered body, in Brazilian rosewood. From Charlottesville, Virginia-based Rockbridge — one of the country’s most intriguing and masterful boutique luthiers. In a custom Cedar Creek case. Read the full description below. If you’re interested in this guitar, please call 512.922.8596 or contact us here. This new 2015 build is a masterpiece from one of the country’s most intriguing and masterful boutique luthiers. Charlottesville, Virginia-based Rockbridge Guitars does not crank out dozens of “vintage clones” each month (or week), they concentrate on a smaller client list and do amazing things. Their shop in one of America’s most beautiful historic towns is a restored 19th century gem, and from it– for the lucky few– come some musical gems. For this custom and one-of-a-kind guitar, I had master luthiers Brian and Randall create the best of both worlds– their finely honed bracing and tuning style, but an homage to a great and not widely know or available guitar from the 30’s. 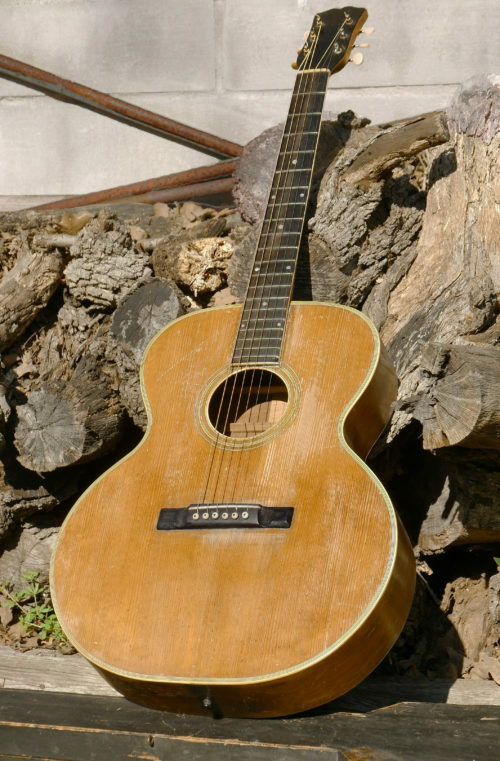 This is an interpretation of the fabled Gibson Roy Smeck model from the 1930s, which pairs a 12 fret neck with a standard slope shouldered body. 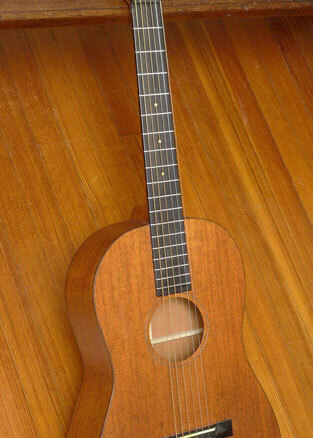 This places the sound hole, bracing and bridge lower on the body, creating a unique vintage look and sound. This guitar does not attempt to slavishly recreate an exact 30’s model. It draws from the source, but ups the ante. 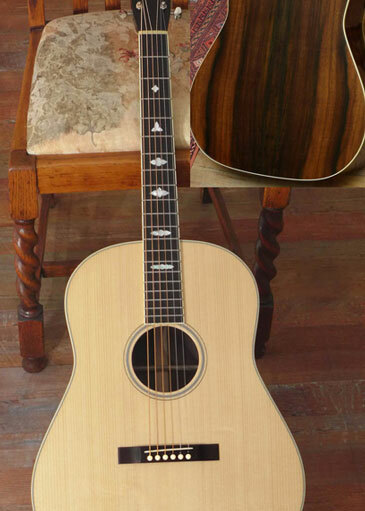 The big, big bonus here: old-growth Brazilian Rosewood. (no slab, reject, stump wood, or the other inferior types of brazilian that shops and builders try to pass off in today’s world, this is top grade wood.) Note the green mineral streaks in the brazilian (see close up photos, that were taken in direct sunlight where the green mineral color shows up more dramatically)– a sign of old growth and dense wood that you only see in rare specimens of wood, and highly sought after by luthiers. The proof here is in the tone, volume, projection. Just play this guitar next to any new brazilian build from the any other maker (and even vintage brazilian). For pure brazilian tone, sustain, ringing trebles, and most importantly string separation– this guitar will open your eyes to what can be done in a new build with the right materials, craftsmanship, time, and attention to detail. 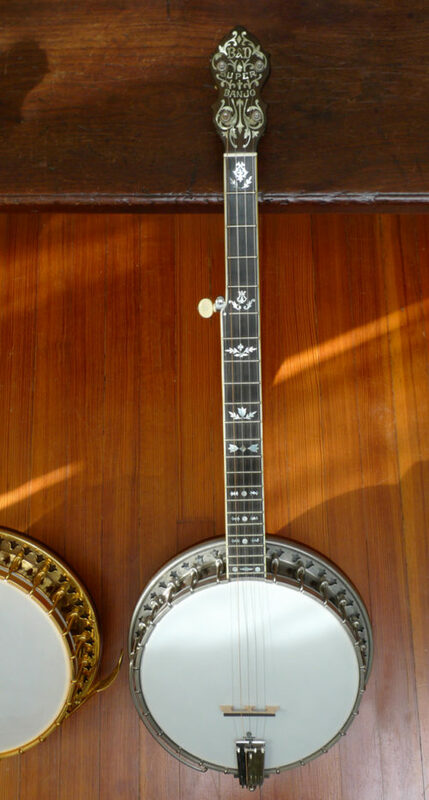 (And, fair warning, it may have you reaching for this one over your prewar Gibsons). 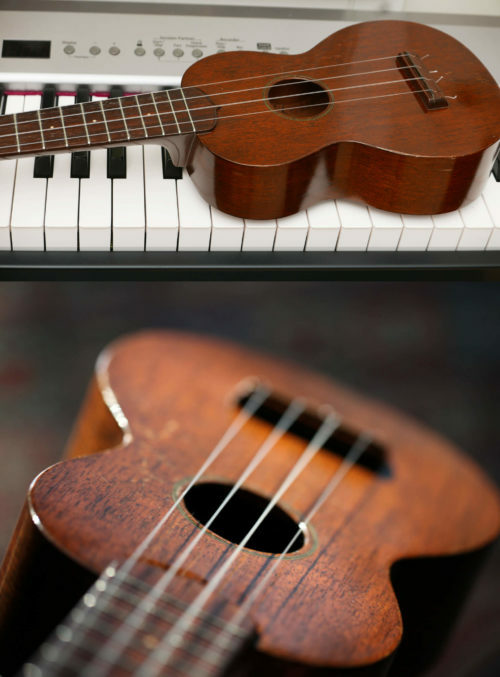 This spectacular instruments comes in a custom Cedar Creek case.